This piece is shaped with archaistic concepts in mind, although no archaic piece of this shape is recorded. 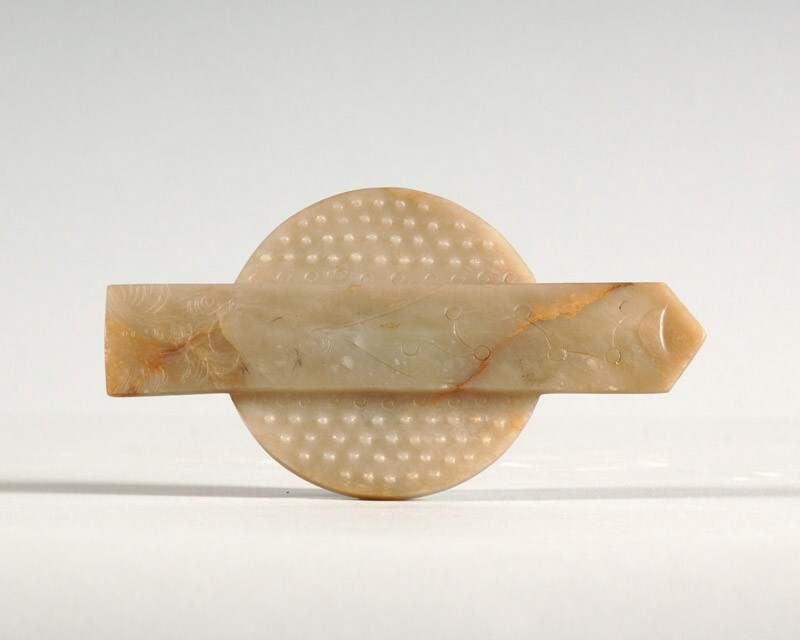 The type is discussed in Jessica Rawson, Chinese Jade from the Neolithic to the Qing, London, 1995, pp.91f., where a related piece in the British Museum, attributed to the Ming dynasty (1368–1644), is illustrated, fig.88. 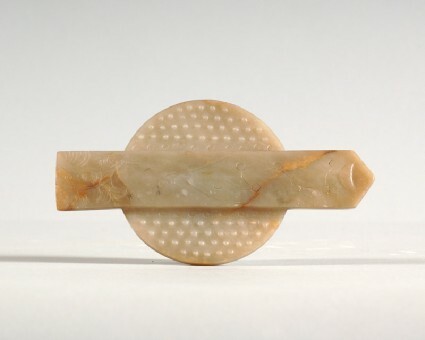 The piece is cut from a pale buff-coloured stone in form of a circular disc (bi) with overall raised bosses, supported on the back with a pointed sceptre (gui), which is flat in front and bevelled from a central ridge at the back. The front is carved on top with a full moon and a triangular star formation and at the bottom with stylized splashing waves. The reverse shows a carp jumping from waves, emitting a vapour with a large star formation and a crescent moon above.